По соображениям безопасности Ваш IP-адрес 3.80.224.52 будет записан. Ваша запись станет видна в гостевой книге после её одобрения модератором. I order skis on Sunday in the evening. Price was the best on the net. Delivery was on Tuesday in the morning. What else would consumer want.....congratulations for prompt delivery. 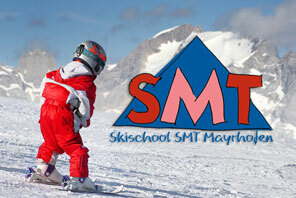 A group of 14 of us visited Mayrhofen last week. Ian was exceptionally helpful and patient and I would highly recommend hiring kit from him. Спасибо компании Rent for Fun за отличный сервис. Филипу за консультации. Хорошее оборудование, доброжелательные сотрудники. Очень рекомендую. всем привет! хочется оставить отзыв о великолепной прокатной компании " rent for fun". Заранее в интернете я ничего не бронировала, и компанию выбирала по приезду. Надо сказать, что я не ошиблась. Во-первых, я искала себе горнолыжную куртку, и только в этом магазине цены были приятные, а выбор огромный!!! Поверьте, обошла я там не мало магазинов прежде, чем рассталась с наличностью! ))) Во-вторых, сотрудники проката - это что-то!!!! ))) Такие винимательные, заботливые, профессиональные, подобрал мне комплект из лыж + ботинки и палки сотрудник по имени Филипп. Он отлично разговаривает по-русски, поэтому кроме того, что он дал мне самое новейшее оборудование, я узнала много интересного и о самом регионе. Вообще, ни разу у меня не возникло проблем с каталкой - лыжи скользили идеально, развивая сумасшедшую скорость, ботинки нигде не доставляли неудобств, а так как я ездила из-за погодных условий на ледник, что 40 мин в одну сторону, это оч важно. Кроме этого тот же Филипп мне помог оформить такс-фри спустя неделю после покупки, хотя необходимо было это сделать день в день! Короче, я в настоящем восторге от данного заведения и его сотрудников! Однозначно, всем рекомендую, спасибо большое за профессионализм и внимание!!! Hi! I have been in Mayrhofen one week ago. I ride ski every winter in Austria but I have not my equipment. That 's why I need rent it. In this time I hadn't a opportunity to do it by internet. When I walked on the street I saw many rent ski offices but I choosed only one of them. 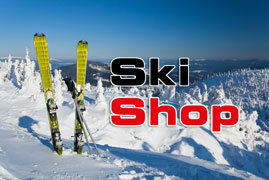 in first, "rent for fun" has a very big assortiment of ski clothes such as jackets, pants, boots, jackets, gloves, goggles. Everything are super best quality!!! I bought used ski's by rent for fun at ebay.de. They were well delivered, waxed and sharpend. Well done rent for fun! Have a nice winter. Customer service outstanding, credit where its due. Thank you for the great service Ian! I purchased a pair of used Progressor 900's which arrived swiftly and perfectly serviced. Ian also provided very helpful and professional advice to enquiries about the skis and a couple of alternatives. All the best for the upcoming season! So, we came to Snowbombing 2015 in April. My girlfriend used these guys for skis and boot rental which included night storage to save carrying them back to the hotel. She also treated me to night storage for 25 Euros, what a godsend! Great friendly staff. Coming back to Snowbombing in 2016 and this time bringing 13 friends most of whom will require equipment hire so guess where I'm bringing them! Ian, I got the ski's today! Thanks a lot again for your personal, good service, quick answers by mail and help with buying my ski's!! Honest and correct service. Recommended. Muy buena opción de esquis usados una única temporada en muy buen estado y a buen precio, perfectos para los niños que crecen rápido y luego los puedes revender sin problema, para adultos también muy interesante haza se pueden conseguir esquis gama alta a precios muy bajos y en perfecto estado de uso si no te molestan las cuatro rozaduras que se hacen en tres días. Ian , el gestor, esta en todo momento pendiente y da rápida respuesta a cualquier consulta. Gracias. Very good choice of skis used one season in excellent condition and at a great price, perfect for children to grow up fast and then can resell no problem for adults also very interesting feat can get high-end skis at very low prices and in perfect condition if you do not mind the four scratches made ​​in three days. Ian , the manager , this time in all pending and gives quick response to any inquiry . Thank you. Am Mittwoch habe ich neue Salomon skis online bestellt on schon am Freitag Morgen waren die bei mir zuhause! Super Service, sehr freundliche Leute am telefon, gerne werde ich wieder bestellen. Warte jetzt nun auf dem Winter. Merci beaucoup pour votre professionnalisme. Great hospitality, great service, excellent ski gear and overnight keeping service. It is nice to find someone so passionate about what he does as Ian is, and it is positively reflecting on the performance of the entire team, We enjoyed the whole experience. Thank you! Fast Efficient Service!! great pair of Skis also the choice of leaving skis there save carrying back to base after skiing.